Let’s start by talking about what diverticulitis is. This disorder causes malfunctions in your digestive system, particularly your colon. When small protrusions in your colon, called diverticula, form and get infected or inflamed, you have diverticulitis. Now let’s talk about what you need to do next. Symptoms of diverticulitis can get severe and ignoring the problem won’t cure you. Instead, arrange to talk with a medical professional right away. A proper diagnosis and recommendations for treatment options can get you on the path toward good health. Medical professionals aren’t completely sure what causes diverticulitis to occur though there has been a link between this disorder and eating a diet high in processed foods and low in fiber. There are, however, a few aspects of diverticulitis that are pretty clear and agreed upon within the medical community. These are the symptoms, methods for diagnosis, and treatment options. The most prevalent symptom is pain in your stomach and lower left side of your body. This pain may become more intense the more you move around. Other common symptoms include developing a fever and various stomach ailments, such as nausea, diarrhea, constipation, vomiting, bloating, uncomfortable gas, and loss of appetite. How do medical professionals diagnose diverticulitis? When you see a medical professional, the first thing you’ll do is describe your symptoms. You may also be asked about your diet. Medical tests may be needed for a more definitive diagnosis, such as a blood test or an X-ray. For such a serious condition that can have intense symptoms, most of the treatment options are less invasive than you might think. The medical professional you see may recommend a temporary all-liquid diet as well as antibiotics. Pain relievers and a warm compress can help manage symptoms in the meantime. Surgery may be needed to treat chronic diverticulitis that does not respond to other treatments. Symptoms of diverticulitis should never be taken lightly. If you suspect you may have this disorder, you should seek help from a medical professional as soon as possible. 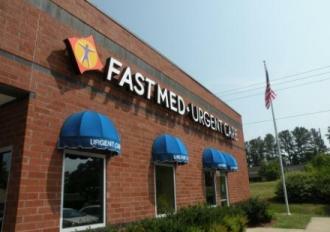 FastMed Urgent Care clinics feature extended hours, so you can come before or after work or school. Plus, we’re open 365 days a year.